"I Grew Up Hitchhiking, and Hitchhiking Made Me Grow Up"
When 16-year-old Don DeArmon and 17-year-old Erich Caron decided to thumb from their Maryland hometown to national parks in the western United States, their summer travels transformed their lives. Crisscrossing the country four times during 1971 and 1972 in the shadow of Woodstock, the Age of Aquarius, and the Vietnam War, they found high adventure and hardship in far corners of the U.S. and Canada. Their hitchhiking travels — 20,000 miles worth — took them through 29 states and all the way to Alaska as they navigated a landscape of hippies, highways and highway patrolmen. 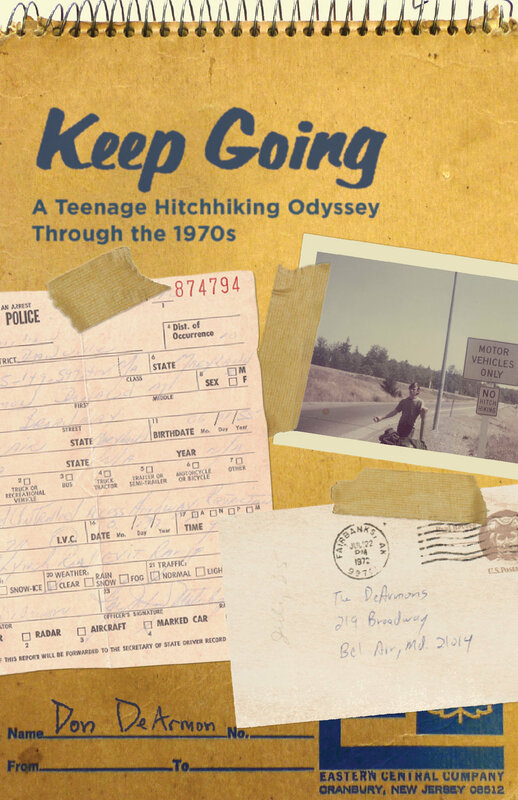 Keep Going is a humorous and poignant memoir about a simpler and less suspicious country and the perfect strangers, Americans of every stripe, who helped Don and Erich on their journey to adulthood.